#AdventBotany 2016 – Day 2: How do you create a Candy Cane Chrysanthemum? Cany cane garden ornaments – ideal for midwinter! Peppermint candy canes are the North American equivalent of traditional British seaside rock. 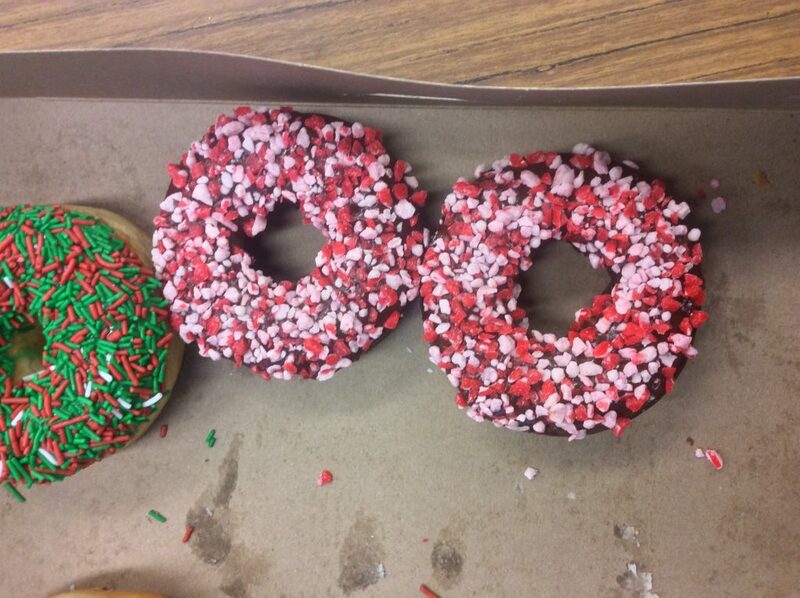 They are ubiquitous during the holiday season in Canada and the USA, showing up everywhere — on Christmas trees, as stir sticks in hot chocolate, on doughnuts (below), and as decorations on gifts. They also appear in Biology classes as incentives provided by students to encourage fellow students to pay attention to their class presentations! In recent years, a novelty flower, the Candy Cane Chrysanthemum, has occasionally appeared in my local florist. One turned up in a flower arrangement that I received as a Christmas gift, a few years ago. I was intrigued by the green and red stripes running through the white flower, because they reminded me of one of my favourite childhood botany experiments. When the Candy Cane Chrysanthemum reminded me of this experiment, I decided to try my hand at making some colour-shaded white tulips in last year’s Plant Biology course, to illustrate how vascular tissue is everywhere throughout a plant. 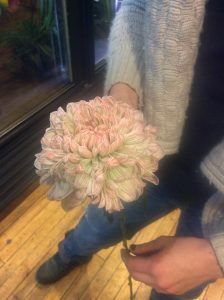 One of the students in the course was a professional florist, and she has promised to help me develop a laboratory, in which we make Candy Cane Chrysanthemums! 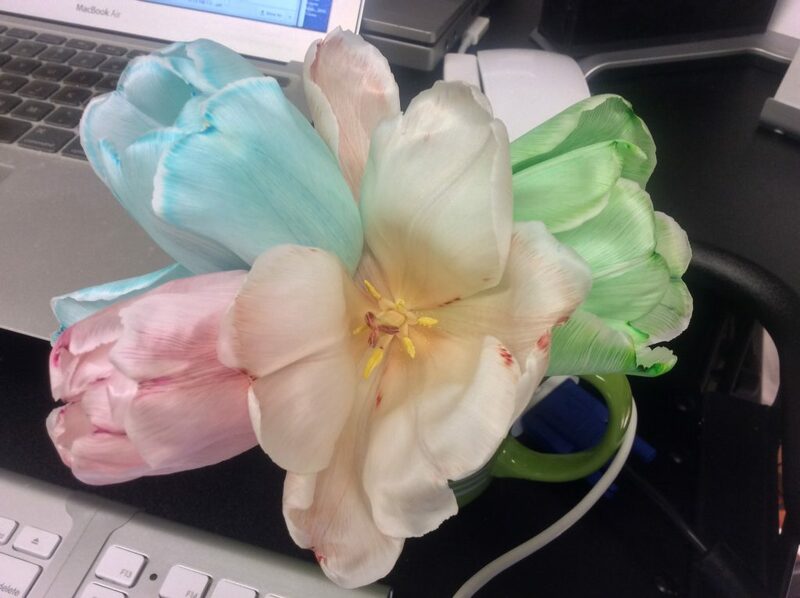 Tulips coloured with various dyes show the potential of the system. When I looked into making Candy Canes, I discovered that it’s a pretty long, literally, drawn out process. Here’s a how-to video on YouTube, should you be inspired to make an actual Candy Cane! Not only can you eat candy canes as they are but you can also add them to other foods for decoration. Newing, F.E., Bowood, R. Illustrated by Lampitt, R. 1965. 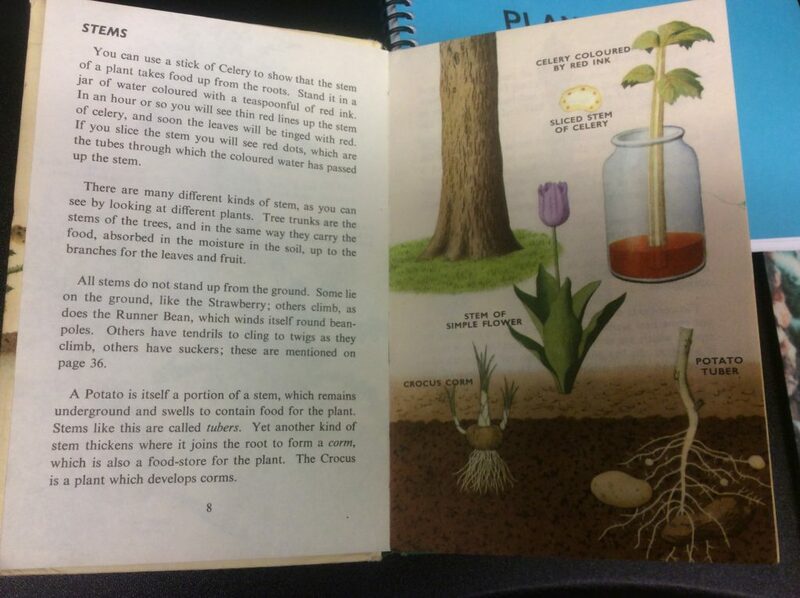 Plants and How They Grow. A Ladybird Natural History Book, Series 651. Wills and Hepworth, Loughborough, UK. Vogel, Steven. 2012. The Life of a Leaf. Chicago University Press. Chicago, USA. 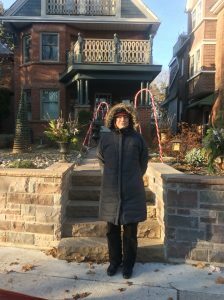 This entry was posted in Advent, Public Engagement with Science and tagged #AdventBotany, candy cane, Chrysanthemum, Dawn Bazely. Bookmark the permalink.